SUMMER IS COMING! SUMMER IS COMING! Well, soon, I hope? Its spring, but it't still freakin' snowing in NYC! What's up with this?! Anywhoozer- SUMMER IS COMING, so we better start getting our summer outfits planned! I have a slight obsession with Nautical Garb, and why not? Stripes. White. Blue. Rope. ANCHORS!? YES ALL AROUND! 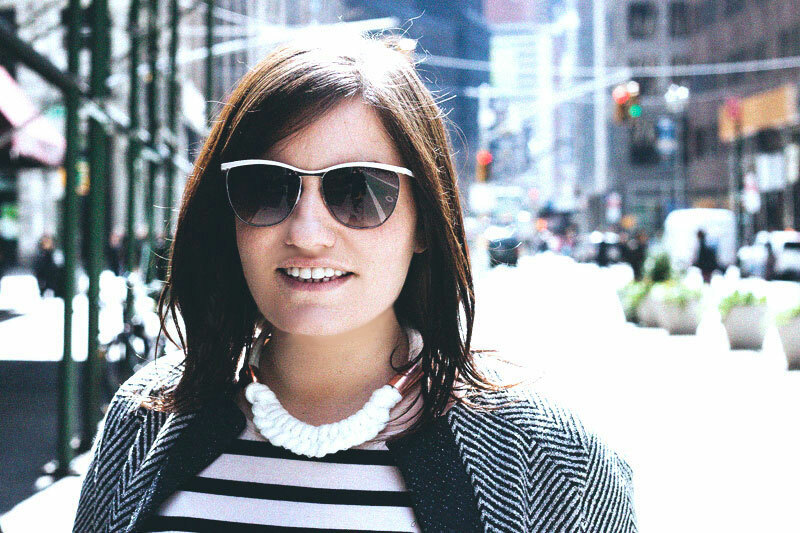 This simple necklace will elevate a simple outfit to make it perfect. On the back of a boat (in my dreams). Brunch on a patio (a little more realistic). SUMMER TIME! YAY! Umm... look above. Thats what you need. YUP, THAT'S all! Know where you get them? THE DAMN HOME DEPOT (or any other hardware store you'd like I suppose). You need 2 - ½ inch Copper Pressure Cups (only 59¢ each!) 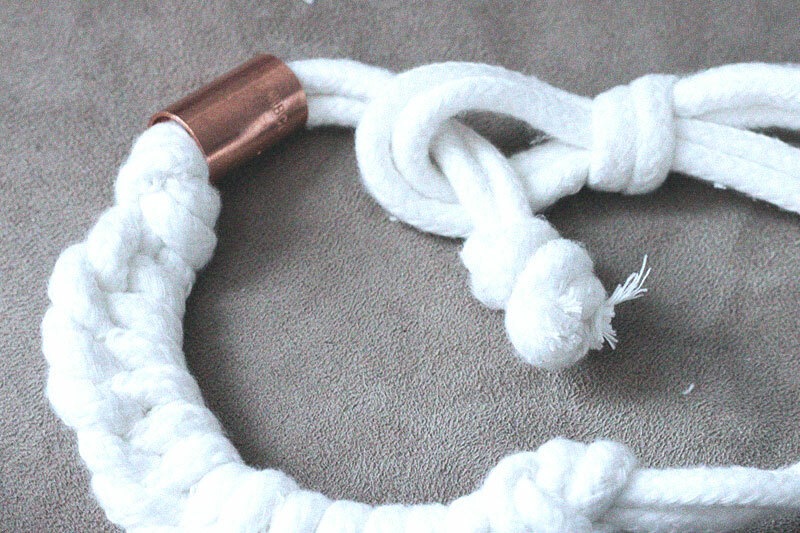 and ¼ inch Braided Nylon & Polypropylene Rope White (100ft here for $12!). 1 / Cut the rope into 2 pieces, one 54 inches and one 70 inches. ... and pull! Now you've made a slip knot. This will be mucho importante later, the ability to slide the knot will make your necklace ACE. 3 / Slide one of the copper pieces towards the knot you made. About 3 inches below the knot, tie another, simple knot, to prevent the copper from sliding down. 5 / Continue step 4 about 13 times. As you tie the knots, the rope will naturally curve, like an arc, which will fit perfectly around your neck! 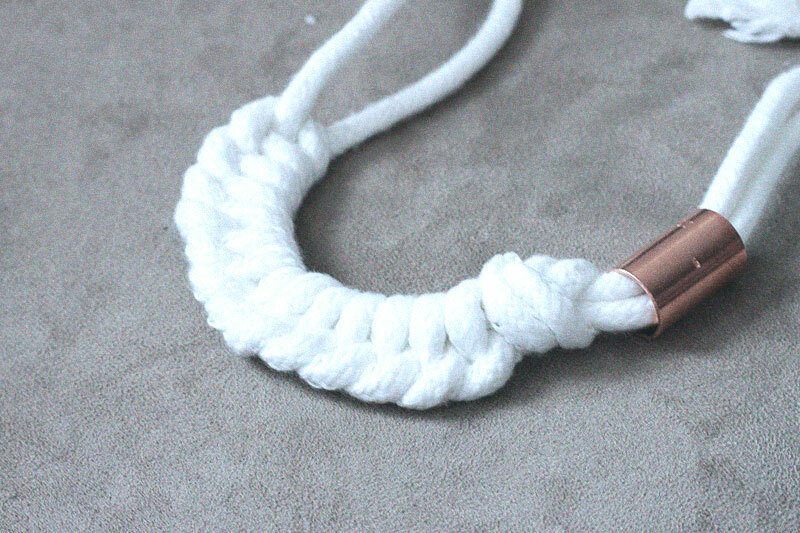 6 / Slide the second copper piece onto the rope at the end of your knots. 7 / Tie a big 'ol knot, leaving about 3 inches like you did at the other end. The knot will slip into the slipknot you made at the other end of the rope as your "clasp". Because we tied a knot that slides, it's adjustable! You can loosen it and make it tighter to get it just right and sit perfectly on your beautiful neck! It was a beautiful day in NYC yesterday, so I decided to give it a wear, and I got SO many compliments (2 coworkers even want me to make it for them!) I am SO EXCITED to break this baby out for the summer! Simple. (It's just knots!) Cheap. 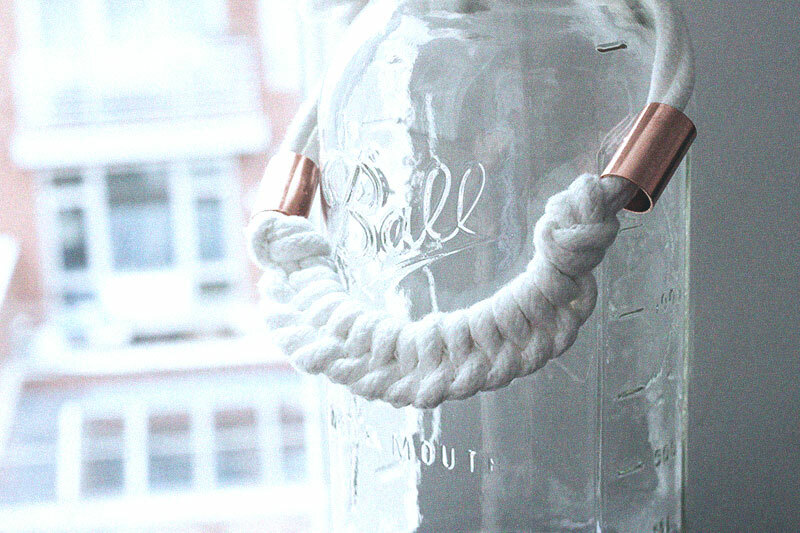 (You'll use about $2 worth of rope, and $1.20 in copper!- can't beat that!). Beautiful. Experiment with different sizes of copper pieced and rope widths and let me know how they work out! What else are you equipping yourself with for summer? I have a few more tricks up my sleeve for you!